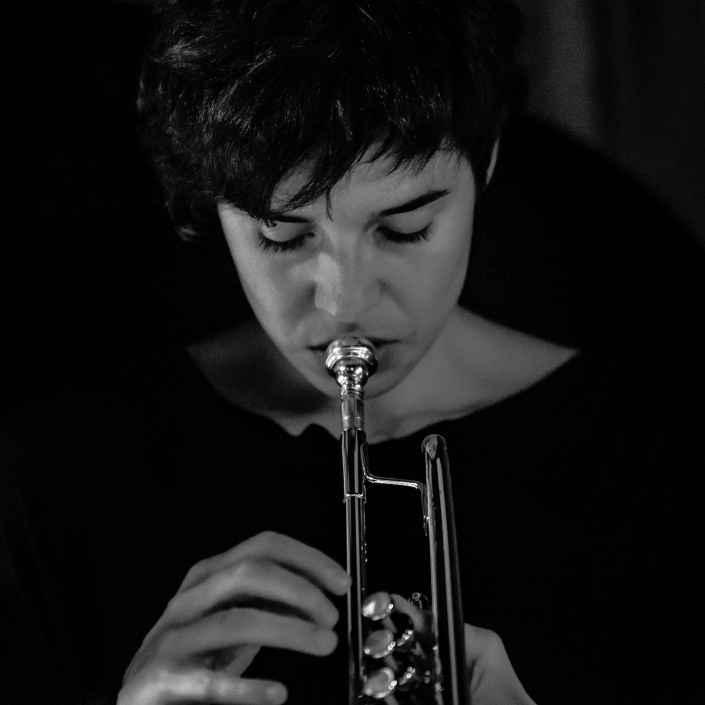 Trumpeter, composer, improviser, Susana Santos Silva hails from Porto, Portugal but her collaborations and projects are global in scope. Equally at home with structured ensemble playing or free improvisation and extended technique, Silva regularly performs in a variety of settings, from orchestral to solo. 1. Name an experience that contributed to your becoming a musician? The first important experience that definitely contributed to me becoming a musician was to start playing with a jazz orchestra in Porto (OJM, the Orquestra Jazz de Matosinhos) when I was 17. Until then music was more or less just a hobby but from then on the passion started to settle in, as I had the opportunity to play with a lot of great musicians, like Lee Konitz for instance, just to name one. And that was even before I did my classical studies, which I only finished in 2004, when I went to study with the great trumpeter Reinhold Friedrich in Karlsruhe, Germany. That was also a very important experience that gave me the strength and courage to move on and search for my own path in music. 2. What was the first music you ever bought, and the most recent? The first album I bought was “Kind of Blue”. The last one was Bill Dixon’s “Thoughts”. 3. What’s the balance of preparation vs. improvisation for the average live set or recording? It depends on which project we are talking about. Right now I have one project that has a lot of written music, “Impermanence”, and the music is pretty much structured, though there’s also space for freely improvised sections. As this was a special project within a jazz association in Porto, put together for a specific group of musicians, that was what I came up with, and what I felt I wanted to do. The duo with Torbjörn Zetterberg is pretty much all improvised, though when we recorded our first album, there was some kind of preparation and that was to go out in the cold and snowy mountains in the north of Sweden and gather inspiration, impressions and emotions to bring them together in the recording of “Almost Tomorrow”. When Torbjörn and I recorded with Hampus Lindwall it was more of a conceptual approach to the improvisations. We would talk about an idea or a specific concept and then we would improvise around it. The new collaborative quartet I have with Christine Wodrascka, Christian Meaas Svendsen and Håkon Berre is totally improvised music. We met on stage for the first time at the Blow Out! Festival and made some music that will come out soon on record. 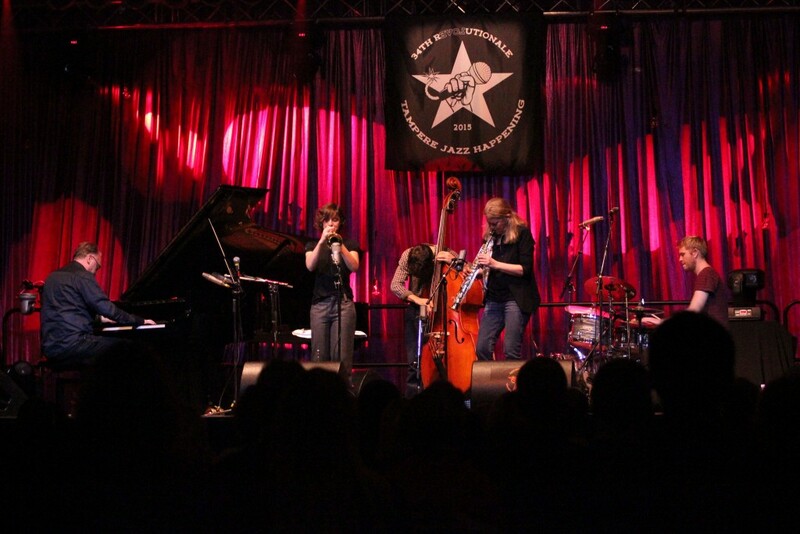 The duo with Kaja Draksler is pretty balanced, there’s compositions from both of us but we also improvise a lot within the songs, but we also play pure improvisations with no prepared material. Speaking with a broader perspective, when I go on stage to play totally improvised music, the preparation is always there, the preparation of years practicing the instrument, learning the language, the scales, harmony, and all the other tools within music and I believe that what comes out is a mix of everything I studied, listened and experienced all my life. What I try to do is not think of any of those things when it’s time to hit the stage and just let the music happen by itself. I try not to control it or myself, and this has been a long hard battle with myself and my perfectionism. 4. What have been the best and worst moments playing live? It’s hard to point a finger… I’ve had many great moments playing live. For me, every time I play for the first time with someone on stage it’s a great moment… when you don’t have a clue of what is going to happen… and from the first note on, a process of discovery and exploration begins to happen until you get to the end of the journey feeling blessed and alive! It’s pretty amazing! The worst moments are when I had to play only for the sake of earning money, that’s terrible. I don’t have those experiences anymore but I used to have quite a few, many years ago. These days I would prefer to wash dishes than go back to playing music only for the sake of making money, when artistically there’s nothing to hold on to. 5. As ‘Life and Other Transient Storms’, you recently performed with some of the best Scandinavian musicians – what did you bring to the party? Indeed! Amazing musicians that I am very happy to be working with. My original idea was to bring some music to explore with the band though I picked them up for being great improvisers in the first place. I put together this band after an invitation from Tampere Jazz Happening last year and at the end we didn’t really find the time to get together to try out some music so we just went for it as we met for the first time on stage. And for me, I confess, it was a hell of a party, filled with urgency and beauty! 6. Where do you stand on the streaming/downloading/file-sharing/musicians-not-getting-paid-for-their-music debate? Complex subject, but very briefly, I guess that the biggest problem is that the money that should be paid to the musicians is going in the pockets of the big company owners. On the other hand, I like the idea that nowadays musicians can easily spread their music online and reach people all over the world, and if that relationship between musicians and music lovers could be a direct one I think it could work pretty well. Records that will be out soon: “Life and Other Transient Storms” with Lotte Anker, Sten Sandell, Jon Fält and Torbjörn Zetterberg on Clean Feed Records and “Rasengan!” with Christine Wodrascka, Christian Meaas Svendsen and Håkon Berre on Barefoot Records. For the release of the LaOTS album I’m planning a tour in the fall around Scandinavia and “Rasengan!” will be presented at the Copenhagen Jazz Festival and Kongsberg Jazz Festival next July. 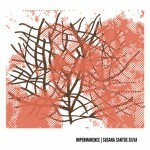 “Impermanence” is available via Bandcamp. 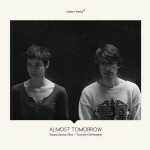 “Almost Tomorrow” is available from Clean Feed Records. 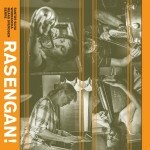 “Rasengan!” is available from Barefoot Records.